Puppy training basics are must known to you, if you want to be a happy dog owner and to own your dog. The common questions from every first time dog owners would be how to train your puppy and when to start teaching their puppy the house rules. The answer is: right away! Usually puppies come home to their new owner around eight weeks. It is great to start establishing the house rules immediately. First, the owners need to decide what behaviors are acceptable and what will not be tolerated. Once that has been defined, they need to begin instilling the rules. Naturally, at first the new owners will most likely lack an effective tool to convey meaning, so although they are trying to stop the puppy from jumping, for example, the dog will not obey. Understanding how to train your puppy, along with setting rules, and boundaries are important skills to master. By doing so, the puppy will not challenge as frequently once the owner has been consistent. There is always more than one way to train your puppy. You should use the tools and techniques that work well for you and your puppy. Day one begins with setting boundaries and truly knowing how to give potty training to your puppy. This includes things like: house rules, boundaries and do’s and don’ts. These are skills that will be in place for a lifetime, so start with these puppy training essentials. Although it doesn’t sound like the most appealing job in the world, housebreaking a puppy will play an important part in bonding with the newest member of your family. 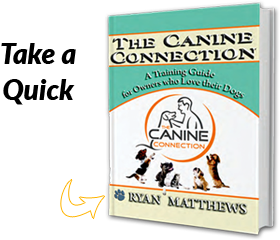 It will teach patience and leave you with a better understanding of what your puppy wants. In addition, it will learn acceptable behaviors and exactly what is expected to live happily and comfortably in its new home. If you don’t establish the rules and boundaries the way puppies need, which is to be vigilant, you can run into potty and chewing issues. With a puppy, you will have to go over the rules repeatedly until you are sick and tired of doing it. You also need to have empathy for the puppy, as around five months they will lose their teeth; which is painful and uncomfortable, and so it may be trying to self soothe. The dog will likely display certain behaviors for a particular reason that you may not understand. You may need to consider or alter your landscape; some plants can be poisonous to dogs. For example, because I have plumeria in my backyard, we have to always be with the dog and not leave him by himself to ensure he doesn’t eat one. Just as puppies are cute and cuddly, they are equally as much work. That’s why as a dog trainer I warn people not to get a puppy based solely on the cute factor, but to know what you are getting into and be up for the work. For example, prior to getting a puppy you may be use to a solid eight hours of uninterrupted sleep, but once you get a puppy, that sleep cycle will most likely be changed. The reason is you can expect a young dog to hold their urine one hour per month of age. So a two month old puppy can hold it for only two hours. You can’t expect the dog to hold it any longer without an accident. The problem with accidents is that the more it happens, the more it becomes a habit and the harder it is to un-train and un-do. I had a young dog that needed to go out in the middle of the night, but she wasn’t assertive in letting me know; instead she was very quiet. It made it difficult for me to manage, and I had to put a system in place. I set my alarm clock to go off every three hours so I could take the dog out. I have also owned a young dog at four months of age that was very assertive and would give a sharp, whiney bark, which was communication, not just the dog trying to be annoying. As much as I didn’t want to get out of bed, I had to. Although I don’t have kids yet, I am told it’s a lot like having a baby that wakes you up throughout the night. It does get easier as a dog becomes older and strengthens its bladder control. I looked at it as putting forth the effort now to teach the dog to go potty outside, rather than being comfortable and lazy in bed, not acknowledging when the dog is becoming antsy in the kennel until it finally just goes potty in the kennel. On a side note, the kennel should never be too big for the dog as it can facilitate the dog deciding on a spot in the kennel to urinate and then move to another corner of it, feeling that urinating inside is acceptable. dog training tips provider in Orange County, I love teaching them because it is starting with a clean slate, showing them the way I want them to behave without bad habits to break; however, I dislike all the maintenance required with a puppy to do things the fair and right way. It’s five times the work to care for a puppy than that of an adult dog. It is actually easier to train bad habits out of an adult dog than it is to work with a puppy. The reason is that the puppy is in the process of learning the world around it, and hasn’t experienced much. Adult dogs know what’s right and wrong; they are just choosing to do what they want. 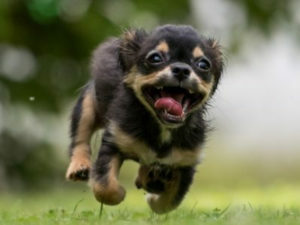 Puppies don’t yet know what’s right and wrong, and can have annoying behavior they use to connect with the world, such as mouthing or chewing. If an older dog is chewing on things, it’s likely because they need more exercise or are trying to get your attention. It’s important to be fully aware of the amount of work required for a puppy. I hear countless stories of people who get a puppy and then return it because they discover the dog is more work than they are willing to put in.